Marin Cilic is a Croatian tennis player, one of the best players in the world. He is the winner of 2014 US Open and a number of other ATP titles. He reached his best ATP ranking of #3 in January 2018. 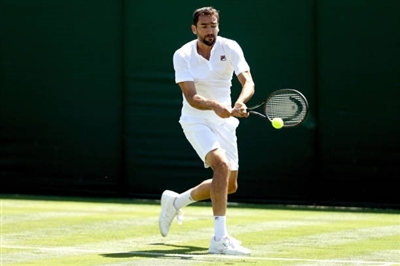 Marin Cilic was born on September 28, 1988, in Medjugorje, Bosnia and Herzegovina. He got engaged into tennis at the age of 3. At 15, he moved to San Remo, Italy, to be coached by Bob Brett. In 2004, Cilic started to compete in the Junior ITF circuit. He won La Vie Junior Cup Villach in singles and the Dutch Junior Open in doubles. He qualified for the 2004 US Open, but was defeated by Sam Querrey in the second round. At 2005 French Open, Marin won the Boy’s singles title after beating Antal van der Duim in the final. In total, at the junior level, the athlete won 6 singles and 4 doubles titles. In 2005, Marin Cilic started his professional career. In 2007, he won his first professional tournaments: the Casablanca Challenger and the Rijeka Challenger. In 2008, the tennis player won his first ATP title at the Pilot Pen Tennis as well as reached semifinal at Chennai Open and quarterfinal at Canada Masters. In 2009, the Croatian won Chennai Open and PBZ Zagreb Indoors. He was in the finals at China Open and Bank Austria-Tennis Trophy, quarterfinals at US Open, Davidoff Swiss Indoors and BNP Paribas Masters. In 2010, Cilic won Chennai Open and PBZ Zagreb Indoors. Also, he was a semifinalist at Australia Open and Legg Mason Tennis Classic. In 2011, Cilic won the Saint Petersburg Open. He was a finalist at Marseille, Umag, Beijing and a quarterfinalist at Rotterdam Open. The following year, he won the Queens Club Championships and Croatia Open, being also a quarterfinalist at the US Open. In 2013, the Croatian won Zagreb Indoors, was at a final at Queens Club Championships and quarterfinals at Chennai Open, Memphis Indoor, Miami Open. In 2014, Marin won the US Open title (his first grand slam title), Zagreb Indoors, Delray Beach Open and Kremlin Cup. He reached the final at Rotterdam Open, semifinal at Croatia Open, quarterfinals at Wimbledon, Brisbane International, Barcelona Open, China Open. 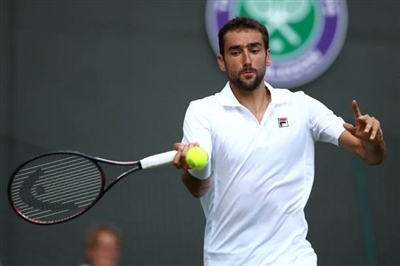 In 2015, Cilic competed in the semifinal at US Open and quarterfinals at Wimbledon and Monte Carlo Rolex Masters. The next season, he won his first Masters title at Western & Southern Open and first ATP 500 level title at the Swiss Indoors. Also, he was a semifinalist at Paris Masters and a quarterfinalist at Wimbledon. One of the main achievements of the athlete in 2017 was the final at Wimbledon, in which he lost to Roger Federer. Cilic won Istanbul Open, was in the final at Queen’s Club Championships, semifinals at Japan Open, Shanghai Masters, Swiss Indoors, Abierto Mexicano Telcel, quarterfinals at French Open, Paris Masters, Italian Open, Monte-Carlo Rolex Masters, ABN AMRO. In 2018, he got to the final at Australian Open and semifinal at Maharashtra Open. Why Kevin Anderson Is One of the Best Tennis Players in the World? What You Need to Know about Caroline Wozniacki? How John Isner Became One of the Best Tennis Players in the World? Why Is Petra Kvitova One of the Best Female Tennis Players in the World?